I keep hearing about Lebanese Christians moving to Armenia. Many are of Armenian origin, but some non-Armenian Lebanese are part of this as well because they no longer see a future in a country dominated, or being encroached, by Muslims. I heard the numbers could be as high as 30k, as of now. Actually, I will not be happy that more Christians are leaving Lebanon for living elsewhere. If they are there only for busniness purposes and making properties, companies and having like a secondary house why not. But leaving for good, it is not a good news.we should maintain our presence everywhere. I have a lot of Armenian friends living in Istanbul since 1990. Which is good. We have to return Antalia, capadoukia. Some greek Orthodox friends still living between ashrafieh and iskandarone. Never left Turkye which is good. We have to return to Irak and Syria now. Yes indeed this is true. And last elections actually testify this, when percentage of Armenian voting was too low. Beirut 1 was catastrophie in voting. All in all, the Armenian number did not reach 20,000 votes. I think its too late for something to be done, the country is lost. Cost of living in Armenia is cheaper then lebanon, Armenia is 3 times bigger then Lebanon in size yet in Lebanon near 6 million people live while in Armenia fewer then 3 million. The economic situation is too bad in Lebanon, you forgive everyone looking to move. Moreover, we are getting sanctions left & right from the world. While Armenia is looking closer and closer in relations with Europe. I used to think this way, but after my last visit to Lebanon, I cannot blame anyone for wanting to move away. Yes, the Christian villages / coastal towns, the shouf, and parts of Beirut are still nice...but the rest of the country is a dump. It hurts my heart to say this but it's true. Lebanon was sold to Iran and Saudi - unfortunately the Muslims in Lebanon have always been more loyal to their co religionists than to their own country, this is a sad fact. And I doubt many people are moving to Armenia - their economy isn't some type of Switzerland. I recently visited some Armenian shops in the US, they were all Lebanese, selling Lebanese products, and not one mention of Lebanon anywhere in the store. It's actually quite sad how people can be born and raised in Lebanon, generations now, and once they leave they take everything and make no mention of Lebanon. Same thing with many Lebanese Jews in Montreal, there's a general and almost ironic lack of patriotism. Lebanon was sold to Iran and Saudi - unfortunately the Muslims in Lebanon have always been more loyal to their co religionists than to their own country, this is a sad fact. And I doubt many people are moving to Armenia - their economy isn't some type of Switzerland. Because Lebanon is some type of Switzerland? 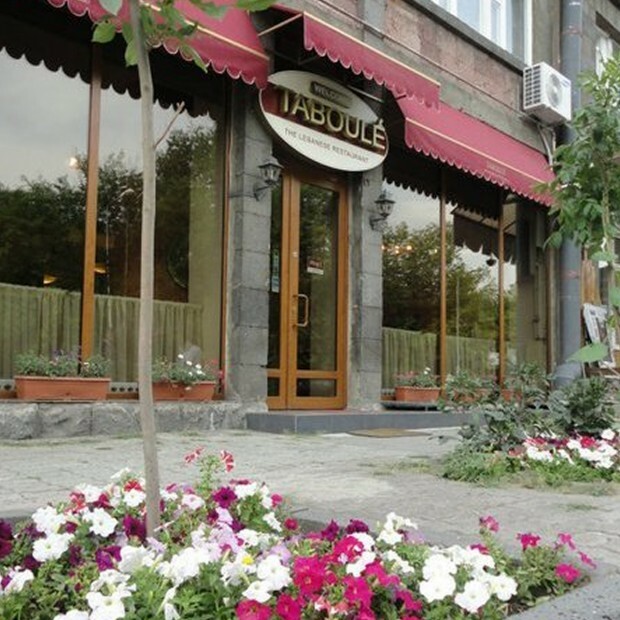 People don't move to Armenia to get rich. They move to escape the pollution, chaos, fawda, and islamic invasion. I recently visited some Armenian shops in the US, they were all Lebanese, selling Lebanese products, and not one mention of Lebanon anywhere in the store. It's actually quite sad how people can be born and raised in Lebanon, generations now, and once they leave they take everything and make no mention of Lebanon. Same thing with many Lebanese Jews in Montreal, there's a general and almost ironic lack of patriotism. Lebanese products have the words "made in Lebanon" written on them. 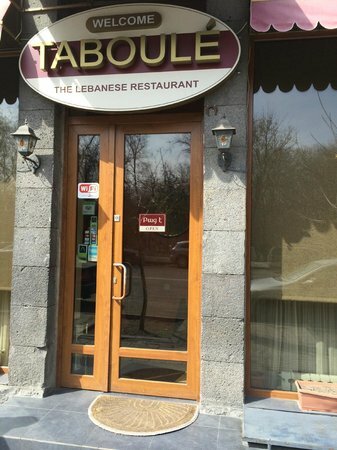 I've been to Armenia and all the Armenians who moved there from Lebanon or Syria have their businesses named after Lebanon or towns in Lebanon or Syria. As an Armenian I was a more patriotic Lebanese than these Maronites, who only care about getting rich and living comfortable lives abroad. Even today, all Lebanese Christian youth think of is getting a foreign passport and moving away. So keep your patriotic speeches for yourselves. When Maronites themselves care more about their petty comforts than saving their country, you can't ask Armenians to save your country for you. There is a limit to what kind of indignities people will put up with. That's the best rebuttal you could come up with? Yes, I'm sure many people are moving to Armenia, quite the economic and culture epicenter - unless someone can produce actual numbers, this is pointless. As for Lebanese products saying 'Made in Lebanon' - the Israelis now brand Hummus and Baba Ghanouj as Israeli cuisine, no mention of Lebanon obviously, so again, your rebuttal is baseless. Just to be clear this wasn't an attack against the Armenian community - this was an attack against the Lebanese mindset that can be applied to all the different religious and ethnic communities of Lebanon. The one advantage that Maronites have that others dont - 'Lebanon' is a central component of their actual religious liturgy, even the Cedar tree. I think because many dont want to be associated with Muslims.Thats why once they leave Lebanon, they dont like to mention Lebanon or being Lebanese .Unfortunately, we do not have good name worldwide. What rebuttal? Does every conversation have to be a freakin competition? 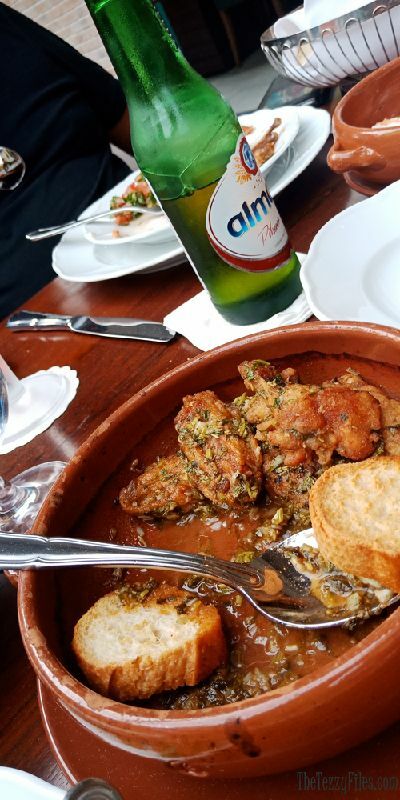 I've been hearing multiple stories of Lebanese moving to Armenia...and when I heard of non-Armenians doing the same, it surprised me and prompted me to start this thread. I couldn't care less if you believe it or not. And, no, Armenia is not an economic epicenter (the tranquility is part of its charm), but be assured that Lebanon has nothing on Armenia as far as culture is concerned. But I'm not creating a competition between the two. You are. I have always loved both countries equally. What Israelis do has nothing to do with Armenia or this thread. The Armenians in Lebanon probably think that their homeland is Armenia anyway to not sure what is the big deal if they return to Armenia? especially that it is close to Lebanon. The orthodox are close to Russia and Greece I doubt that any go live there but they are close to the two countries. For the Maronites and this something which I love about them is that their first and final homeland is Lebanon. They bore the brunt of the palestinians, syrians, islamists, fundamentalists and they are still here..... I salute them and hopefully our country will return to best it once was. I would love for one day to return home and live in a civilized Lebanon not one which I find myself like I am a monkey in a jungle trying to survive. Most of the Armenians in states like California are not even from Lebanon. They have never set foot in Lebanon. 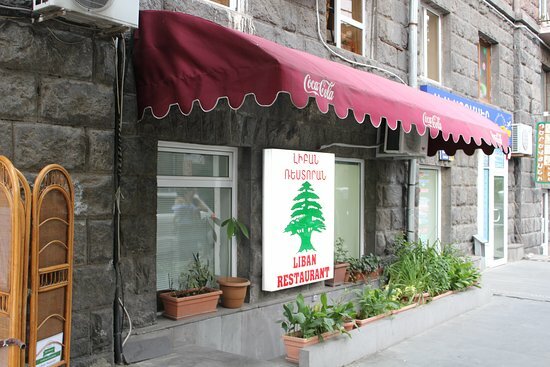 But Lebanese or Syrian Armenians who move to Armenia very proudly advertise their businesses as such. Some people are just showing their typical Lebanese anti-Armenian racism. They should be happy Armenians are moving out of "their" country. Them and the islamists ysteflo! Visit Armenia: 6 Days Were Not Enough... A Memorable Journey! After spending the week in Armenia, all I can tell you is that I’ll be coming back soon. Land of beauty, greenery and breathtaking sceneries, Armenia made me fall in love with its food and great people. Why would christian Lebanese be happy with Armenians going out of their country? The Armenians are as much Lebanese as their counterparts and we want them to stay in their country. Lebanese from all backgrounds are trying to get out of the country. 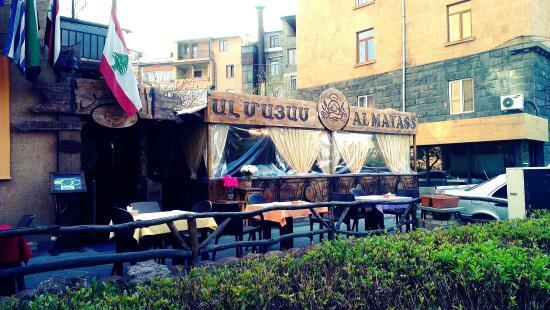 Lebanese Armenians happen to have an easy escape to Armenia, which is actively trying to bring their diaspora to their homeland. Interestingly, I was thinking about this a few days ago. What will happen to non-Armenian Lebanese Christians who don't have family abroad and no where to go? Would Armenia accept them as refugees? I think it would be a lot more difficult for them to 'become' and be accepted as Armenian. Armenian is an actual ethnicity, Lebanese is a nationality, that's why everyone who came to the country (Armenians, Assyrians, Kurds etc) eventually became Lebanese. Lebanese Christians don't view Lebanese-Armenians as any different from them and of course feel much closer to them than to any Muslim who calls themselves 'Lebanese'. But would that be the same case for the heavily Soviet-influenced Armenians from Armenia? How would they view Middle Eastern Christians fleeing to their country? And do you want Christians to just sit and wait to be butchered by barbarian Muslims? Look what happened in Iraq, Syria, what is happening in Egypt. There's no place for Christians there anymore and soon is going to be the same in Lebanon. Lebanese Christians are completely aware of the fact there's no foreseeable future for them in the country, it's very sad but it's a fact . The only reason most Christians still haven't left is because of their deep connection to their lands, which is so hard to explain, most Muslims wouldn't even understand since they are invaders, not natives to these lands. The only advantage that Christians in Lebanon have compared to their counterparts in Syria, Iraq and Egypt is that most have family abroad and have financial means to leave the country. So yes, most are prepared to leave the country and will do so once the situation becomes unbearable (almost there). There's going to be a HUGE exodus of Christians in the next 20 years. Those who got out have gotten out. The actual christian exodus has declined and most people who are leaving the country are muslims. Since 1990 the muslims have been going out of the country 60% to 40% I don't see an exodus at all. I actually see if some aspects of Lebanese life is fixed like electricity then people might come back. Keep fighting to your existence. I am abroad. I go three weeks to Lebanon every year coz living very far from it. All my neighbors are not Christians. Actually, I helped my dad who passed away 3 years ago to build a very beautiful building when we get back our lands. My neighbours know my political views that I am FPM. They are our odds. I don't care I live with them we eat and we dance. Never leaving, drink with them live happily with them , fight in every way u can. Now it is peace time use peaceful methods, when it is war kill them as they killed your relatives. Fight. 90% of my family still in Lebanon. Other Lebanese called us displaced or mhajjarine, what other nations will say. Palestinians are fighting to return back to their lands. We have our land don't leave Lebanon.